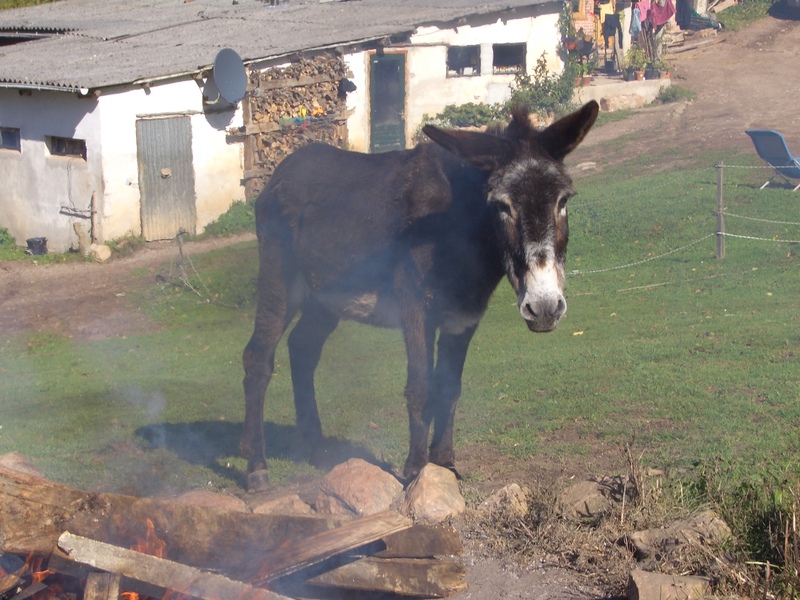 With the advent of spring there is lots of work to be done here at El Paraiso del Burro. Priorities include making sure all the perimeter fences are secure, repaired where needed and safe for the Donkeys. Daily care of the donkeys continues with several of our residents having ongoing health problems that need attending to and monitoring. Grooming and feeding times along with general observation when they are in the fields is a good time to spot if there are any general changes in their behaviour, feeding habits and physical health. We have had a constant stream of volunteers over the winter months and their contribution has been invaluable. Building work has been completed, we are making good progress with fence repairs and of course the Donkeys continue to receive care, attention and affection. We are always interested to hear from people who have time to volunteer. Volunteers need not stay for a week or more at a time. Some of our volunteers live locally and come on a regular day each week – this is good as it gives us some continuity and also allows or temporary volunteers to learn from our regulars. If you want to volunteer at El Paraiso, we are always on the look out for people with a whole range of skills and experience including: building or construction, land management, ability to operate strimmers or chainsaws, apple picking (in season), vegetable growing, care of donkeys, cooking, gardening and general maintenance. 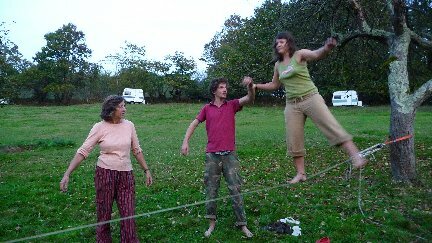 Our main requirement however, is for people who are willing to work and who can live in our community as part of a team. We also spend time relaxing and enjoying the company of others – it is surprising what you can learn if you put your mind to it. Maybe if you are unable to volunteer, you might like to sponsor our work here. Please contact Marleen for further information. We hope to hear from you soon. We have now been for two weeks in the ” El Paraiso del Burro”, which is really what its name promises, a paradise, not only for donkeys. Wakening up in our own caravan, seeing the dogs playing, taking a walk through Marleen’s beautiful property, having fun with crazy people here (and animals, too! ), enjoying the great food and of course working on our own chosen project: preparing a part of the garden and taking care of Marleen’s strawberries. There is quite a lot freedom in what you chose to do and how you do it. There are many aspects, which will give you a great experience you should not miss! There are many skills to acquire here, not only in how to communicate and treat animals (especially donkeys), but also in taking responsibility for your surroundings and of course many kinds of manual works. We have learnt for example some skills in building. Since we have been here a new stable was built, we also learned about organic gardening and got some great new recipes (like vegan cheese) – and by the way learned how to bake our own bread. The best result of our stay is the scientific proof that a fishing-rod in combination with a carrot really works to make a donkey follow you. On this basis we invented a game called ”donkey-soccer”, in which you have to get a ball in the combatants goal without loosing touch with your ”team-donkey”, who you have to convince to go in the right direction only with your donkey-fishing rod. 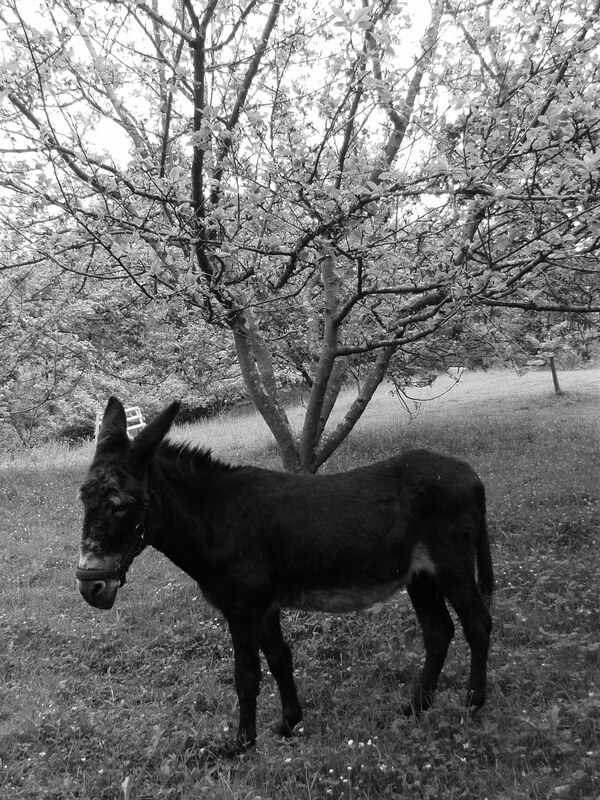 In fact it didn’t really work since the donkeys living in Paraiso are on one hand quite spoiled and therefore do not really hasten to get the carrot, and one the other hand a little afraid or at least suspicious of the ball -we think they will just need more training. sometimes I saw him in the stable just standing in a corner, pretty confused. Marleen told us that the day we left he fell in the meadow and couldn’t stand up. And you could see that he lost so much weight in just a week. He’d been eating and drinking with good appetite, then not…and he didn’t have worm… so? This morning he couldn’t stand up at all. Even with support. He just fell. He didn’t want to eat anything yesterday and not today either, he’s been lying in the stable all day without any movement and he doesn’t react to our presence. He is gone. So…….the vet came this evening and now Niño is sleeping. Maybe in an other paradise now. He was 32 years old and had the best 2 last years of his life here in paraiso. And the tears that falls for him feels pretty Ok. He was happy here. When he was playing with his best friend Keese and escaping to the neighbours eating all the grass that of course is greener on the other side. 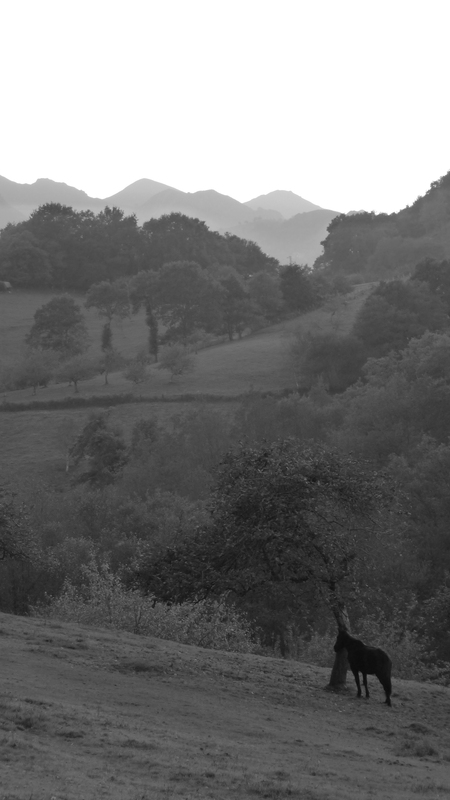 To be back, back from the icy streets of Sweden and to be greeted by the warm winds of Asturias 🙂 well…a little rain also. It’s strange to be back but it was strange to leave in the first place. 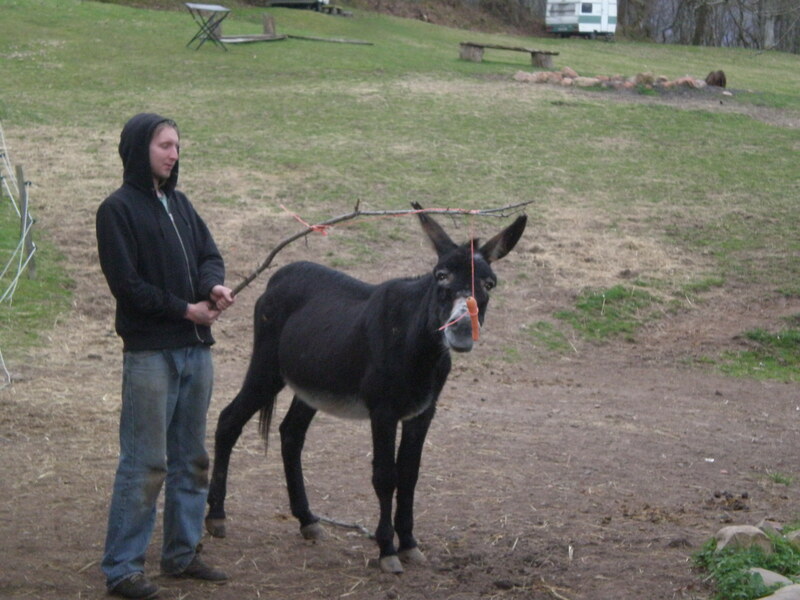 New donkeys, new smells, new cats, new dog and new people. And no leaves on the trees. Winter is always hard, almost everything dies and maybe we humans aren’t that much different from the grass, trees and flowers. 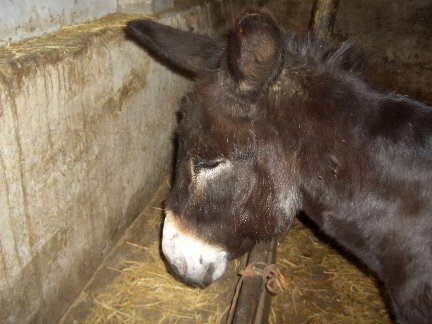 I know donkeys aren’t that different, colds, flu and maybe you can call it depression?! Niño doesn’t want to cuddle as he use to, Yara’s ears are even more laid back if that was possible and Jelle can hardly stand up on his own. I’m scared every time he’s still lying down in the morning when we give the donkeys breakfast. I have Lor and Remi fresh in my mind and I’m scared that the “not getting up” thing always means there about to die on us! Yes, they are old and cranky and all that. I know… it doesn’t help. I love them and it hurts. There are 20 now. I want to have more time with them, it’s like meditation to just stand and massage a donkey 🙂 and listen to them while they are eating.